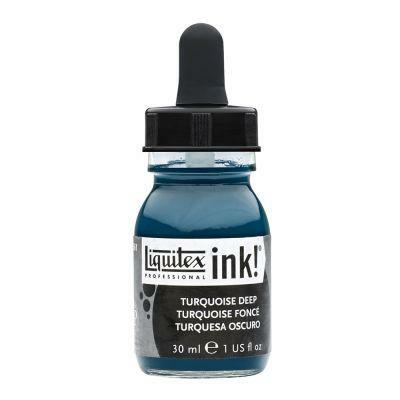 Liquitex Professional Acrylic Ink! is a range of extremely fluid acrylic that use super-fine pigments in a state-of-the-art acrylic emulsion. They dry quickly, are permanent, water resistant and non-clogging, which makes them ideal for a variety of techniques from watercolour effects to stamping. 30ml bottles. 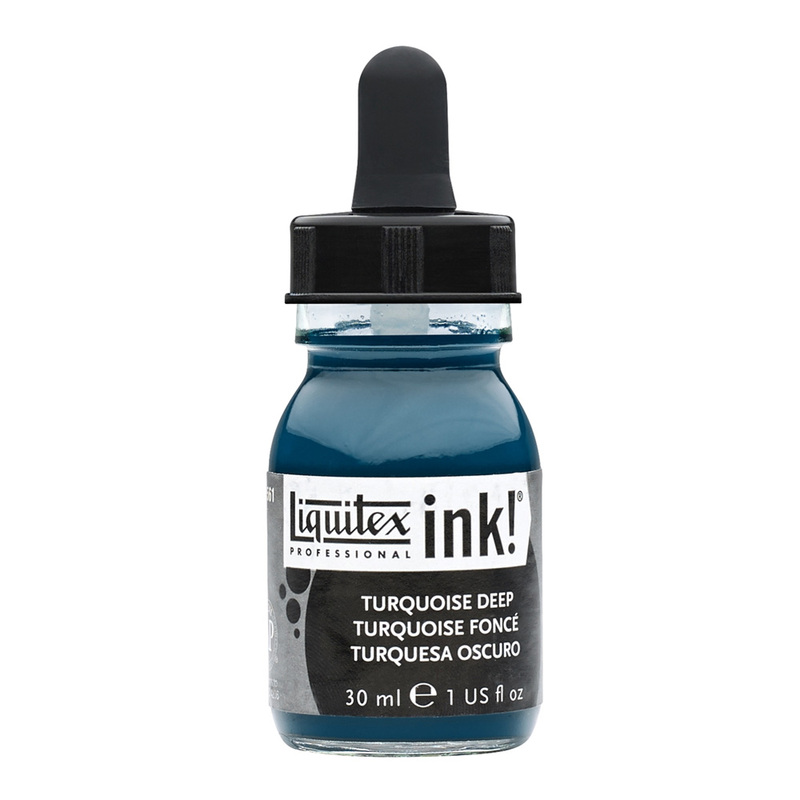 •Intense bold lightfast colours •Extremely Fluid, no need to dilute for airbrushing or calligraphy • Superior water resistance • Non-Clogging • Fast drying Ideal for watercolor effects, color blocking and under painting Intermixable with all other Liquitex acrylics and mediums • A balanced colour line of opaque and transparent colours. The full colour range is available in 30ml bottles, Carbon Black is also available in larger 150ml bottles.